Below is the README file, copied and pasted. Last edited by Carbon on Fri Feb 23, 2018 2:58 pm, edited 1 time in total. 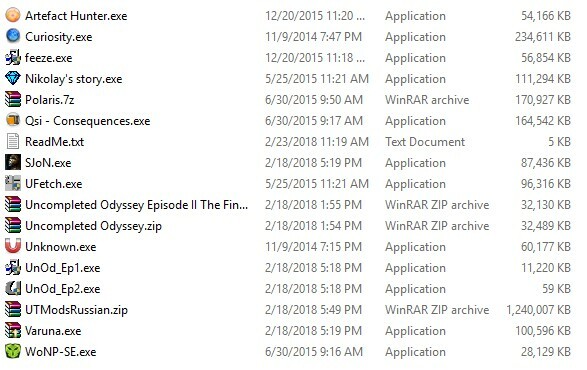 Had a look through a few of these (Artifact Hunter, Curiosity, FEEZE, Second Journey of NaGaRuuk) and I think it's fair to say that these are basically Single-Player mashup packs containing both SP and MP maps - edited by the pack author. There is a particularly interesting specimen contained in Curiosity, which is a leaked beta map from the cancelled "Unreal: Skaarj Unleashed" project. It's only one map, but there are also 4 accompanying .u files containing a load of code and models. I feel like it's only right that, seeing as this stuff has essentially already been leaked through this Russian dude, that the Skaarj Unleashed content gets its own seperate release. got it, and finally dropbox download button was actually for the file at hand. I always wanted some artifact type game for Unreal, thanks for all your work putting it together, and uploading. I posted this here, at USP and at OU. If any item is problematic, let me know and I'll remove the link and the item from the pack.